Y’all, I love being a mama. There is nothing more rewarding and humbling than being a part of creating a human life, nourishing and growing that life for nine months and then delivering that little life you’ve been creating. There is literally no greater joy in this world. My kids have my heart and nothing they could ever do would make me love them any less. It’s so true that “to be a mother is to forever have your heart walk around outside your body”. BUT before they are outside of your body, they are inside your body. And at first, they are very very small. So small, you can’t even tell they’re in there. Then, they get a bit bigger. And it just looks like maybe you ate too much. After a few months, you have to start finding different clothes to fit your growing tummy. And all too soon, you’re as big as a house and ready to have that tiny heart, outside of your body. A maternity wardrobe is no joke. You have to dress an ever-changing and growing baby belly for nine months! If you’re a first-time mom, you can probably get away with only dressing a bump for about 4-5 months. But the rest of us second (or more) timers? Forget about it! That’s why there are certain things you can do to adequately prepare yourself for a fully functional and stylish maternity wardrobe. AND do it affordably! Sure, you could just buy all new clothes… but that would get expensive REAL fast. Even Target’s maternity line isn’t cheap, and to be honest, it’s not all that flattering either (per every mom I’ve ever talked to, lol). Why limit yourself? my jacket and dress are thrifted! So, what can you do to prep for your maternity wardrobe AND save money? 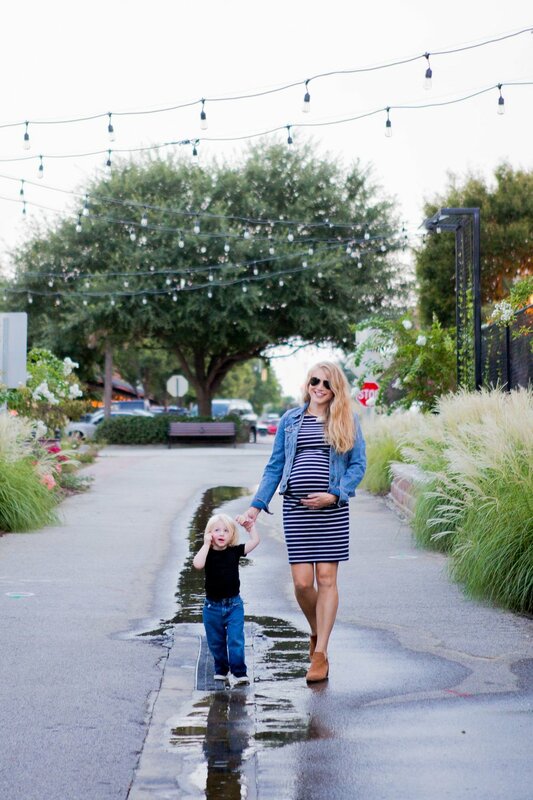 ThredUP recently did an article about the basics every maternity wardrobe should have. And wouldn’t you know it, they featured me in some of their pieces! Eeekk! Honestly though, I’m not really too surprised. I am the QUEEN of thrift shopping. I love finding amazing high-quality brands at a fraction of the cost. Both dresses were thrifted from ThredUP! Consignment stores are really making a come back these days, and why shouldn’t they? Especially for maternity styles. 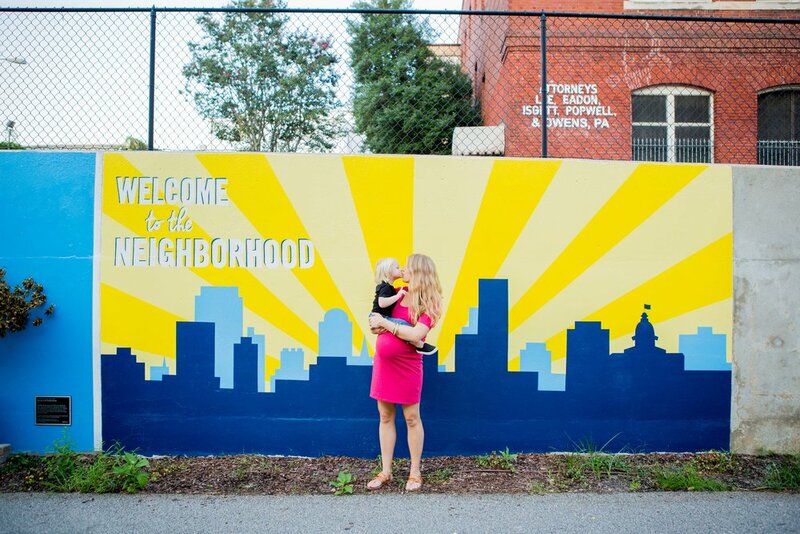 You’re only wearing these pieces for a few months - and so are the moms who are selling them! Plus, they only accept very good to new condition pieces. Save yourself some money and stock up on thrifted or consigned wardrobe staples!